Celebrate in style with a loved one while sharing a bottle of excellent chilled Champagne and fresh strawberries with cream, at London’s stunning and iconic Harrods. 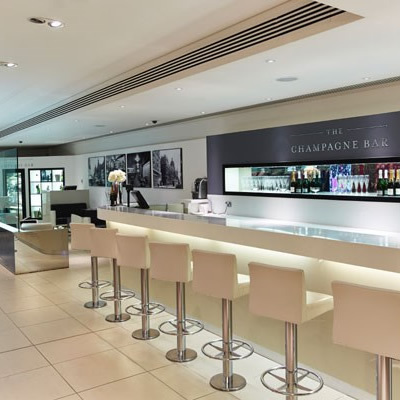 You’ll be welcomed to the Champagne Bar, overlooking Harrods’ first floor International Fashion collections, and be seated in the intimate, stylish, and exclusive lounge. You’ll then be served a chilled bottle of the finest of Champagnes for you to share, plus delicious fresh strawberries and cream to complete the indulgent treat. Ideal for a celebration or to take the weight off your feet after a day of shopping - or perhaps to kick off a special evening out to the theatre.